25km (15 mi.) north of Leeds, Harrogate (pop. 65,000) is one of England's best known spa town, along with the more pompous Bath and Royal Tunbridge Wells. Everything started in 1571, when iron and sulphur rich water was discovered by William Slingsby in the Tewitt Well in the then small village of Harrogate. 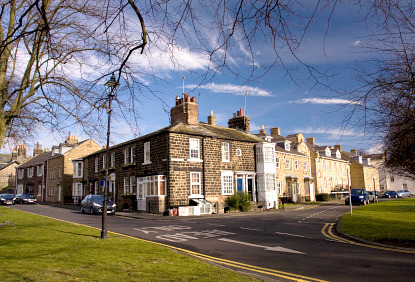 People started flocking to Harrogate and the town experienced its golden age in the late 18th and 19th centuries. Harrogate's popularity dropped after the First World War, but became the seat of government offices evacuated from London during WWII. In 1926, Agatha Christie notoriously disappeared for 11 days after her mother's death and matrimonial problems, and was found in a hotel at Harrogate where she claimed amnesia. The events have made the object of the 1979 film Agatha starring Dustin Hoffman and Vanessa Redgrave. There are over 80 springs in Harrogate. The best place to experience them are the Victorian Turkish Baths of the Royal Baths Assembly Rooms. The Royal Pump Room (open 10am-5pm, from 2pm on Sundays and until 4pm Nov-March; admission £2.50) , built in 1842, was the place where people came to take the cure. In its heyday, the spa received 15,000 visitors every summer. It still has the strongest sulphur water in Europe. Nowadays the town is probably more famous for its Flower Show than for sulphuric water. The show has been held since 1923 and takes place at the Great Yorkshire Showground, off the A661 road just outside the city. There are two annual venues, the Spring Flower Show late April, and the Autumn Flower Show mid-September. In July, the Yorkshire Agricultural Society organises the Great Yorkshire Show at the same place. 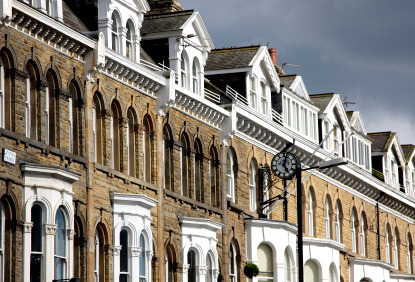 Needless to say that Harrogate has many green spaces, such as the beautiful and typically English Valley Gardens and its Sun Pavilion, the Prospect Gardens or the wide Stray. Harrogate is located near the junction of the A61 and A59 roads. The A1 motorway (London-Edimburgh) is conveniently close. There are no direct trains between Harrogate and London. You must change at Leeds (35min, £5.20) or York (30min, £5.20), as for any other destinations. National Express has direct buses to London (5h20min, £20), Leeds (40min, £2.75), Manchester (3h, £7.75), Newcastle (2h20min, £11.25) and Durham (1h50min, £10). You will have to change at Leeds for most other destinations.